House mold removal, sometimes referred to as house mold remediation, may sound like a simple thing. If you have a mold problem, though, you know it’s not as simple as some people may think. Different types of mold can infest homes, but perhaps the most common is Stachybotrys chartarum, commonly known as “black mold.” It can lead to all sorts of health problems if it takes hold in your home. Aspergillus and Penicillium are other common types of mold found in homes. Regardless of the type of mold, for the sake of your family’s health, house mold removal is necessary. Mold can lead to all kinds of health problems, including respiratory problems. 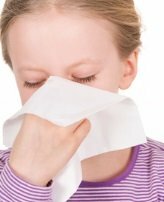 Young children, the elderly, and those with pre-existing health problems will be more strongly affected, but even healthy adults can begin to suffer the effects of long-term exposure to mold. House mold remediation is necessary in order to preserve the health of those living in the house. In addition to respiratory problems, mold can cause a variety of other symptoms, including depression, difficulty concentrating, short-term memory problems, headaches, fatigue and skin irritation. Of course, these symptoms can be caused by many other things other than mold, but if you or other members of your household experience respiratory problems along with other symptoms, you should check closely for mold. If you have visible areas of mold and have symptoms, you should be concerned the mold may be having a negative effect on your health. Don’t ignore a mold problem, because it will only get worse over time. Areas of mold will spread and symptoms of exposure to mold will grow worse. The problem needs to be addressed promptly. If you have symptoms that could be related to mold but you’re not sure, have a professional test your home for mold to find out just what you’re dealing with. You can follow this link to get a list of local Mold Testers. Some people want to handle house mold removal themselves, but the Environmental Protection Agency recommends hiring a professional if the area of mold growth covers more than ten square feet. The EPA also recommends following their guidelines for house mold remediation if the heating and air ducts are involved, and they say not to run the HVAC system until all ducts are cleaned properly, or else you may end up spreading mold to other parts of the house. The EPA says that if the water that led to the development of the mold was contaminated, like sewer water, to call in a house mold remediation specialist with experience dealing with contamination, because it’s not the same as ordinary mold. The specialist should follow the EPA guidelines for cleaning up the area. If you have a mold problem in your house, we recommend you hire a mold removal specialist to take care of it for you. A trained professional will be able to find all the mold in your home, and remove it in a safe way so that none of it spreads during the remediation process. If you aren’t sure if you have a mold problem or not, call a mold tester to come out and test for mold. Your homeowner’s insurance may cover the cost of both a test and house mold removal. There are home tests you can buy and do yourself but they are not very accurate. Many mold testers are actually engineers. They can advise you about house mold remediation if indeed you do have mold in your home. If you have a very small area of mold and your HVAC system is not involved, you may be able to handle the cleanup yourself if you prefer, but we recommend you at least have a free consultation with a mold removal specialist. 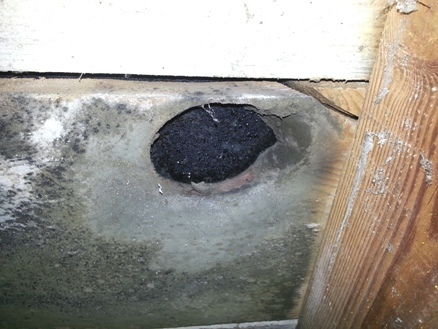 The picture below shows black mold that was found in an attic. Even if you choose to handle the mold removal yourself, you’ll get free advice on how to do the job properly. He or she will help you find all areas of mold growth, so you won’t inadvertently miss any during your cleanup process. He or she will advice you about the safety concerns of removing mold in your situation; the risks vary based on the type of mold present, the amount of mold present, and the location of the mold in your home. It’s free, so you have nothing to lose. To schedule your free consultation with a Mold Removal Specialist, just follow the link.